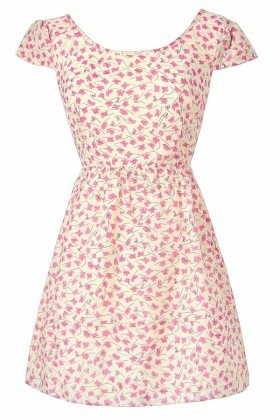 Floral print dresses are a Spring and Summer wardrobe staple for the girl at heart. 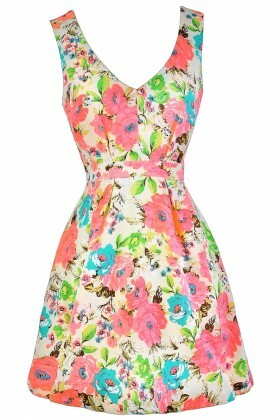 If your love for florals is in full bloom, we've got just the dresses you're looking for! 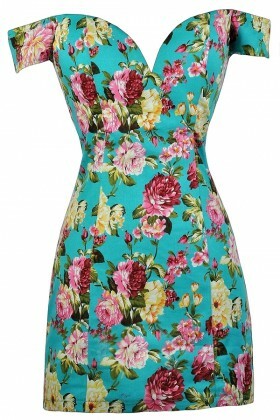 Floral prints can be bold and dramatic or delicate and dainty, all depending on the print and size of the flowers. Some of our dresses feature oversized flowers or abstract watercolor designs while others have a smaller ditsy floral print that is perfect to create that cute country style. While we usually think of floral prints in the Spring and Summer, there are many floral prints that work in the Fall and Winter as well. 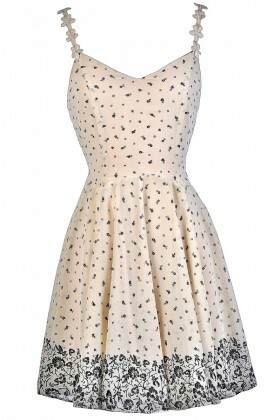 Add a touch of romance to your wardrobe- after all, everything is coming up roses! 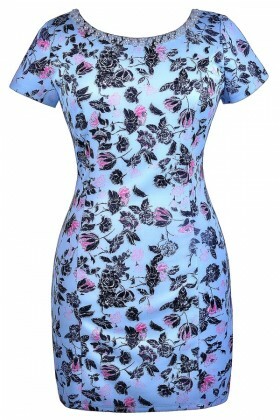 Rose prints have recently become very popular and are perfect to wear on Valentine's Day and throughout the Spring and Summer. When the sun goes down, who says you have to hang up your floral print dresses? Choose a dark floral print with a black background to create a dramatic noir look to wear at night to a party. 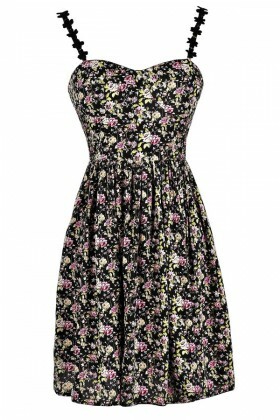 Dark florals are a welcome change from all the pale pastel floral prints we see so much in the Spring and during Easter. What if you are planning a Spring or Summer wedding? Every bride knows you have to have a beautiful bouquet of flowers to carry down the aisle. But what about your bridesmaid dresses? 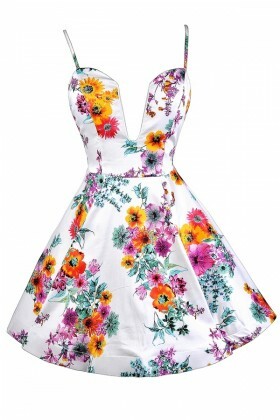 One unique idea we are seeing a lot of is floral print bridesmaid dresses. This is a great alternative idea to all the monotone bridesmaid dresses out there. 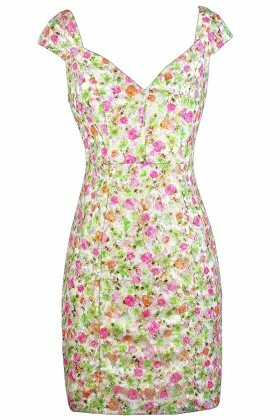 We've got some lovely floral print maxi dresses that would be stunning for your bridesmaids to wear on your wedding day. Mixing and matching floral bridesmaid dresses with a solid color is another look we love. Casual affairs call for more casual dresses. A casual floral print maxi dress is a great option to pack on vacation to wear with wedges or flat sandals out to dinner. 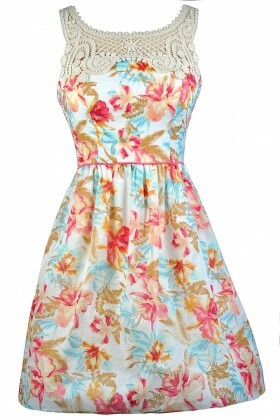 We also have a huge selection of floral sundresses that are perfect for those Summer months. These dressed down looks are perfect to wear on hot summer days with sandals, wedges, or heels. You can dress them up for a party with friends, or you can dress them down while you're out shopping or running errands. 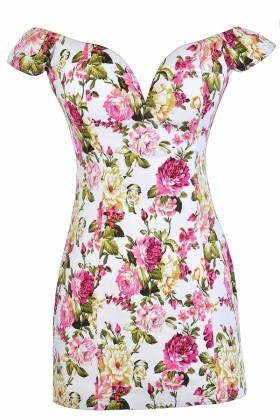 Whatever the look you want to create, you can find the perfect floral print dress at Lily Boutique. Receive FREE shipping on orders over $75 within the US.